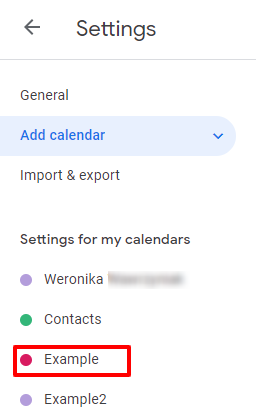 Google Calendar on a website can have multiple purposes, for example, can inform users about oncoming events. 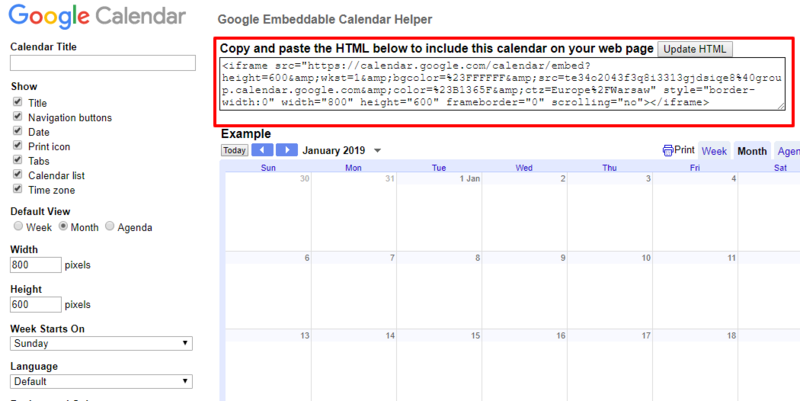 Adding a Google Calendar to a website created in WebWave - website builder with no coding - is a piece of cake and can be done in just a few steps. 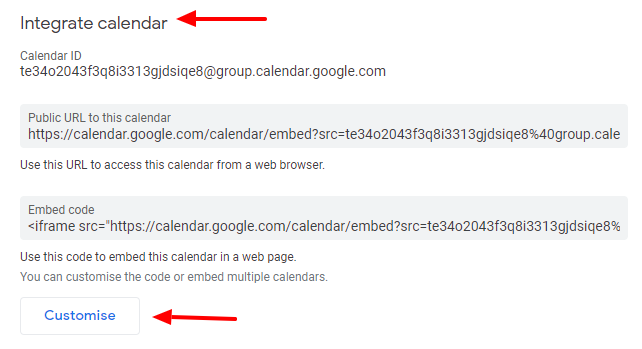 Select the name of a calendar, which you want to embed. Add to a website created in WebWave an HTML element and paste the code generated by Goole. 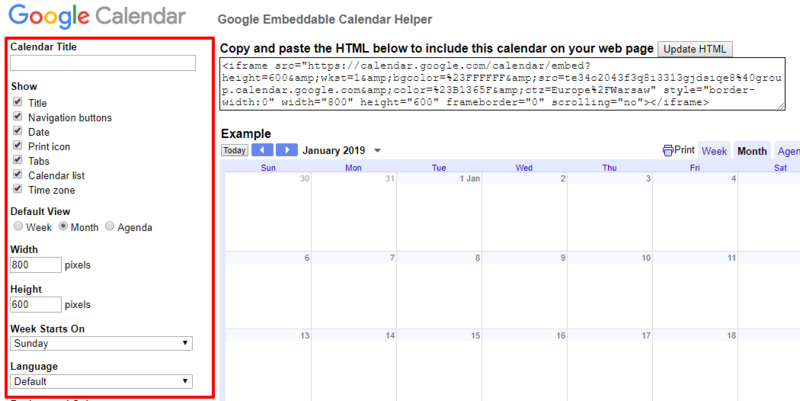 Keep in mind that size of HTML element can't be smaller than the width and height set previously in calendar's style (step 4).